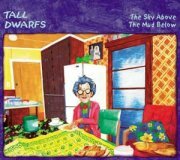 Tall Dwarfs have been around since the early '80s, ploughing their own furrow of drumless, low-fi folk-influenced 'indie' stuff, whatever you take that to mean. They're pretty unique, which has to be celebrated in these days of homogeneous (NOT 'homogenised' - that's what they do to milk) radio-friendly blandness. 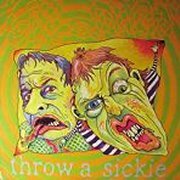 I imagine 1986's Throw a Sickie is fairly typical of their oeuvre, with plenty of thrashy, not always in tune acoustic guitar and mucho vocal harmony stuff, reminding me in places of the Velvet Underground, amongst others, the echoey, early Floyd madness of The Universality Of Neighbourliness standing out particularly. Chris Knox plays a rather wonky Mellotron flute part on Road & Hedgehog, clearly audible at the end of the track, although I've no idea whether he put in on any more recordings for the following five years. 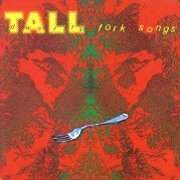 1991's Fork Songs (ho ho) isn't wildly dissimilar, proving, at least to me, that the duo found their niche early on and have stuck to it like glue. Knox plays Mellotron cellos on Small Talk, but they're pretty much inaudible, apart from a hanging note at the end of the song. 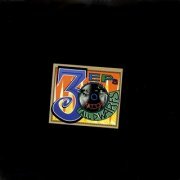 1994's 3 EPs is, on vinyl at least, exactly that, although it's (sensibly) available as a single CD. I'm afraid I found this rather less appealing than Fork Songs, although its elements are, essentially, the same. Although it's only credited on one track, that's Mellotron flute on opener For All The Walters In The World (from Knox? ), while the credited one, Post Modern Deconstructivist Blues, has a repeating string line from Scott "Spiral Stairs" Kannberg. Apparently, a liner note in 3 EPs asked listeners to send in their own rhythm tracks. 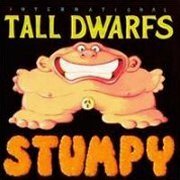 They did, and '96's Stumpy (released as International Tall Dwarfs in honour of the multiple collaboration) used them as the basis for new material. It's typical Tall Dwarfs, being generally skronky low-fi oddness, but fans of the band are almost guaranteed to like it, even 19-minute closer Up. Knox and Alec Bathgate (the band's two principal members) apparently both play 'Tron, with a lovely flute part on Crocodile and a clunkier one on Cruising With Cochran, fractured cellos on Deep-Fried and more flutes about ten minutes into Up. They released The Sky Above the Mud Below in 2002 to considerable acclaim, although I believe some of their older fans are disappointed in their recent releases (but isn't that always the way?). The basic album comes with another International Tall Dwarfs EP attached, The Weidenhaüsen Impediment, consisting of the duo plus various friends worldwide, including Jad Fair and Jeff Mangum, although I expect I should know some of the other names on there, too. And no, I don't think 'Jimmy Page' (on vocals?!) is actually, er, Jimmy Page! Maybe he's a Jimmy Page. Anyway, I'm afraid most of the material left me a little cold, although the album starts fairly well, and Baby It's Over is an excellent song. Maybe it's just too long for its own good - when will bands learn that just because you can put 80 minutes of music on an album, that doesn't mean you should? Anyway, two credited 'Tron tracks: Room To Breathe features a nice little flute part, while Melancholy has almost nothing but 'Tron, with Bathgate's harmonising cellos and flute melody underpinning Knox's vocals and, er, 'oventray' percussion (I told you they were lo-fi). So; if you're into that lo-fi thing, you may very well like the Tall Dwarfs, and even if you're not, you may anyway. From what I've heard so far, they don't use their 'Tron much, but any contemporary Mellotron use has to be applauded, so please don't think I'm knocking them. Tamarisk were, unfairly, one of the lesser-known outfits to emerge from the early '80s UK prog revival. Their first demo, the Tamarisk E.P. was released in 1982, along with similar offerings from Marillion, Pendragon, IQ etc., but received less attention than their compatriots/rivals (delete according to taste). To my knowledge, they never gigged that far from their home territory of north-east London, but I'm willing to be proved wrong on that one. If that's true, it may account for their small following; most of their contemporaries were gigging feverishly up and down the country for all they were worth, building up sizeable fanbases as they went. Tamarisk also had trouble holding down a steady lineup, and by 1984 they were still only managing Marquee supports, with not a sniff of record company interest. Their second (and last) demo, Lost Properties, while not actually progressing very much musically from their debut, had the added bonus of keyboard player Steve Leigh (later of just about everybody)'s EMI Mellotron M400. It's hard to tell exactly what he had on his tape frame, but Mojo opens with some rather tremulous top-of-the-keyboard choirs, and An Alien Heat features lower-pitched choir and what sounds suspiciously like Mellotron FX tapes of a crowing cockerel and church bells. It also sounds like there may be some faint choirs towards the end of No Room At The Top, but it's hard to tell. If you get a chance to hear this stuff, do; Tamarisk's approach should've been different enough to afford them more attention. Criminally, these tapes remain unavailable over twenty years on; rumours appear occasionally that an official release is 'imminent', but nothing ever seems to happen. n.b. They're finally out! The CD's entitled Frozen in Time. Anyway, if you like the better end of the neo-prog thing and you find this on a trade list, give it a listen. Tamdrin (US) see: Samples etc. 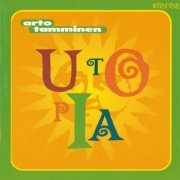 Arto Tamminen's first release was in 1980, at which point his career appeared to go on hold until the mid-'90s, '97's Utopia being his third album overall. It's a breezy, Finnish-language pop/rock effort, at its best on Rakkauden Tie's 10cc/Pilot vibe and the bluesy Outoja Aikoja; not especially exciting, but ultimately harmless. Esa Kotilainen plays one of his M400s, with a buried-in-reverb flute part on Rakkaus that really wasn't worth the effort. Pleasant enough, but there's no reason for you to track this one down. The Tangent (UK) see: Samples etc. Tangerine Peel were a third-division late '60s UK psych outfit, only notable for having future glam rock producer Mike Chapman (The Sweet, Mud, Suzi Quatro) in their ranks for a while. 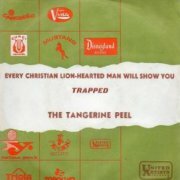 Given that The Bee Gees had elected not to release their mock-gothic classic Every Christian Lion Hearted Man Will Show You (from 1967's Bee Gees' 1st) as a single, the Tangerine chaps decided to do so themselves, recording a fairly straight copy later that year, backed with a more straightforward late-period mod effort, Trapped. Someone, very possibly Chapman, plays a low Mellotron string part that matches the original's low, cathedral-like feel until near the end of the track, when the player gets a bit creative, adding a few chords to the arrangement. Both sides of this 7" have been made available on compilations in recent years, some more obviously legal than others, but neither's too hard to find if you're determined enough. A&M (Japan) - out of print? Los Angelino Mark Guerrero is well known in Chicano music circles, not least as son of Lalo Guerrero and on/off member of Redbone, while his songs have been covered by a host of artists. 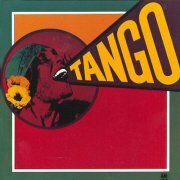 Tango were his early '70s project, who recorded just the one, eponymous album, less Chicano than country rock, at least to my ears, at its best on opener He's An Artist, I'm Brown and closer Greenback Blues. Guerrero plays a Mellotron flute line on I'm A Human, although that would seem to be our lot. Given his good name, I'm slightly mystified as to what all the fuss is about; competent, but unexciting. 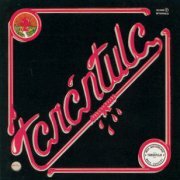 Tantra were Portugal's chief progressive exponents, releasing two albums in the late '70s, before deciding to tread the commercial path, leading to an unpopular album and their eventual split. I haven't heard their debut, but Holocausto's a fine album, if not quite up there with their heroes. The material has a jazzy bent in places (listen to the MiniMoog solo in Talisma), but slightly lacks in originality; the title track's refrain is an obvious steal from King Crimson's The Court Of The Crimson King, though not the part that usually gets 'borrowed'. Pedro Luis' Mellotron use is fairly minimal; the band borrowed a machine for the recording, but the only audible evidence is a little choir on Holocausto itself (the track also utilises a real choir), and some faint string and choir chords on the most symphonic part of Talisma. 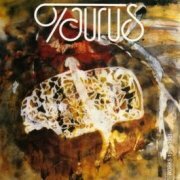 It's actually a pretty good album, though, so probably worth it for the prog fan, if not for the Mellotron. 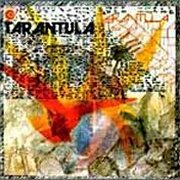 Two years and an almost complete lineup change on, Tarántula 2 is the oddest record; on one hand, it's an uninspired hard rock effort, on the other, a relatively adventurous heavy prog LP, often within the same song. Two lead vocalists (male and female) help matters little, especially Enrique Alfonso Almiñana's awful nasal growl, although Ana Maria González Pazos' semi-operatic tones in the more symphonic sections improve things somewhat. Basically, the hard rock material (or sections of longer tracks) is terrible; the band had no idea how to make the style sound convincing, a trend reflected across most of southern Europe, sadly. Better material? The proggier stuff, essentially, including Avui Com Ahir, the eight-minute La Tarantula De Granada (about the only thing here to successfully marry the band's two disparate styles), Canta Canario, Canta, Extasis and the second half of closer Esto Es El Fin. Guillot, now Vicenti Guillot Peñalver, adds Mellotron to most tracks, surprisingly, with upfront flute and cello parts on Nacido Para El Trabajo, during the unexpected quiet middle section, choirs on Avui Com Ahir (although the strings are Elka string synth), stabbed choir chords, a flute solo and unmistakable tubular bells on La Tarantula De Granada, choirs on Canta Canario, Canta, more flutes and choirs on Extasis and strings, to my surprise, on closer Esto Es El Fin. I is a great example of Spanish progressive, although it's a bit thin on the Mellotron front, while 2 reverses the situation, being far stronger Mellotronically than musically. What do los Americanos say? Oh yeah: "Go figure". Taras Bulba (Germany) see: Samples etc. Tarka & Friends (UK) see: Samples etc. Tarmac Adam (Australia) see: Samples etc. Like several other overseas single-only artists on this site, I can't tell you much about Tartempion, even whether they actually recorded any albums. 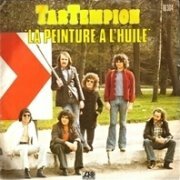 I believe 1973's La Peinture À L'Huile was their debut 7", a passable pop/rock track, very much of its time, although vastly better than a lot of the dross that clogged up the charts then and now. Unfortunately, the flip, Faut Vivre Ta Vie, is a fairly terrible ballad, but you can't have everything. The 'A' features occasional pitchbent Mellotron string chords from Mickey Graillier that enhance the song without actually making themselves very obvious, sadly, while the 'B' has a more 'standard' chordal string part. You may find this as a download (both sides are also on YouTube), or even (should you feel so inclined) the original vinyl, in these days of international ordering. Good enough at what it does, but all rather unexciting, really. Tater Totz (US) see: Samples etc. 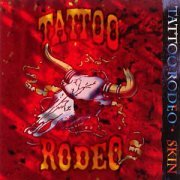 Skin appears to be Tattoo Rodeo's second and last album, more of a heavy blues-rock proposition than the supposedly more hair-metalesque accents of their debut. Post-glam, almost post-grunge, this slots fairly neatly into that mid-'90s downtuned hard rock thing that was probably a natural reaction to the previous decade's empty posturing. Best tracks? The organ-heavy Chamber Of Mary's Gun, the dirty blues of Can't Keep My Woman Down and closer Blackened, I'd say. Keys man Michael Lord is credited with organ/piano/Mellotron, so it's clearly strictly old-school all the way. Is that Mellotron genuine? The wavery-enough-to-be-real flutes on the laid-back Charity say yes, although it's difficult to tell from the background string line on Blackened. Well, probably not something I'll return to on a regular basis, but nice to hear a previously-unknown-to-me rootsy hard rock album. 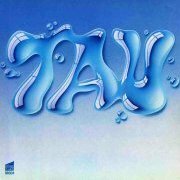 Tau were surprisingly progressive for 1981, although, for some reason, the band elected to open each side of the album with its weakest tracks, Willkoruinen and Weuer Die Rose Soure... respectively. 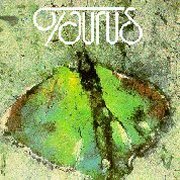 By Der Traum, though (the album's longest and best song), the full-on prog kicks in properly and, despite the occasional lesser number, Tau acquits itself very well. It isn't especially German sounding, despite German-language vocals, so don't write this off as 'another Sky label-type thing', like so much lesser German prog of the time (see: Octopus, Shaa Khan et al.). The album finishes with a thoroughly bizarre cover of Lucy In The Sky With Diamonds, re-titled L.S.D., bearing very little obvious relation to the original, with a new chorus melody (!) and lyrics in German. There's a fair bit of Mellotron, too, presumably from keys man Michael Barfuss, with strings, choir and flutes on Der Traum, with excellent choirs, plus a polyphonic flute part on Todesfuge, and more choirs on the following two tracks. The aforementioned L.S.D. is smothered in strings, playing the verse melody and some 'violined' and pitchbent chords, making for one of the most bizarre reworkings I've ever heard, almost on a par with the Residents' highly disturbing take on Satisfaction. Overall, then, a pretty good record, with some pointers towards its year of release, although if you ignore the two non-'Tron tracks (coincidentally, I may add), it's well worth hearing, both for music and Mellotron. 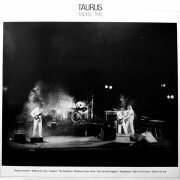 Formed in 1976, it took Taurus until 1981 to release their first album, Illusions of a Night, although it was apparently fatally compromised by their record company, who demanded that they record several potential singles. However, the end result is far better than that sounds, with only a couple of more 'commercial' tracks (notably Nickname) amongst their late-'70s Genesis/Yes/Kayak-influenced prog. Martin Scheffer's Hackettesque guitar work and Theo de Jong (ex-Kayak)'s Taurus pedals add to the album's Wind & Wuthering feel, as do full-on symphonic tracks like The Gurus or Kaboom. Rob Spierenburg's Mellotron work, despite being heard on most tracks, is pretty restrained here, often with only a single choir swell towards the end of the song, although the odd bit of strings crops up here and there, too. Sadly, at no point does the instrument take centre-stage, while the album's overall poor production doesn't help, either; possibly the band wanted it higher in the mix? 1983's Tapes-Live is barely better than bootleg quality, possibly explaining why it's never been reissued, although there's no crossover with their studio release. At its best on The Boatman, One For The Kingdom and the instrumental Resistance, much of the material is decidedly second-rate, although, as you can see, all but three of its tracks, in new versions, turn up on their subsequent two releases. Spierenburg's Mellotron only turns up twice, with chordal choirs on Waiting For You, while One For The Kingdom opens with a blast of choirs, repeating further on. This is a bona fide rarity, but I wouldn't recommend that you go too far out of your way for it. 1990's Works 1976-1981 consists of new recordings of, presumably, unrecorded material from the band's first half-decade, recorded by a three-piece version of the band (with, presumably, sequenced drum parts), some of which was to turn up in live form on the subsequent See You Again. Once again, the material's a mixture of the proggier (The Sound Of A Harp, The Boatman) and the poppier (Mrs. Granery), averaging out at a solid three stars, I think. Spierenburg's Mellotron sounds real - it's a bit early for samples, anyway - with brief choir parts (again) on Meadow and Robot Romance, with more of the same (admittedly in the background) on Mrs. Granery, The Sound Of A Harp and The Boatman, although all other sounds are again ignored. The aforementioned See You Again is a live CD from '93; various factors lead me to believe it was recorded at a variety of locations, possibly over several years, not least the crudely overdubbed applause that actually intrudes into some of the quiet sections. While there's no Mellotron visible in any of the booklet pics, it can be heard here and there and is credited. There's a small overlap with Illusions of a Night, although most of the material was presumably written subsequently; I'm afraid to say that most of it is rather dull, like Genesis if they'd had their brains sucked out (er, didn't that actually happen?). Some nice moments here and there, but it's generally rather overlong and turgid, ending up doing the band few favours. Spierenburg uses the Mellotron for choir only (again), with rather murky and inessential parts on several tracks, although the particularly Banksian use on Mountaineer is worth hearing. Illusions of a Night is actually very good; a bit of a hidden gem at a bad time for progressive rock. The Mellotron work isn't anything to write home about, but the album's worth picking up should you run into a copy. 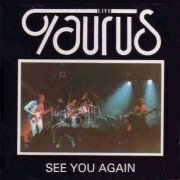 Works is passable, with a slightly proggier bent than their official debut, while See You Again is just about worth hearing if you like that album, but expect to be disappointed by much of it. 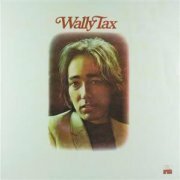 Wladimir "Wally" Tax led the Netherlands' premier 'Nederbeat' combo in the '60s, The Outsiders, building a considerable reputation in the process, leading to a solo career in the following decade, which eventually came off the rails due to his chaotic 'rock'n'roll' lifestyle, leading to his slow decline and premature death in 2005. His second, eponymous 1974 album is rather of its time, largely consisting of unexciting mainstream pop/rock with a variety of influences, including folk, jazz, country and rock'n'roll. More notable moments include the very Beatlesesque 6th chord that ends It's About Time and Evidently (er, evidently a single), a seemingly jaunty number with an appropriate undercurrent of sadness, although little here is likely to make the average 21st century heart beat any faster, I suspect. Martin Agterberg plays background Mellotron strings on opener It Ain't No Use and Evidently (in a 'couldn't afford a string section' kind of way) and strings and flutes on Oh Mama, although most of the album's strings are real. Overall, even if this were available on CD, I'd imagine its only purchasers would be middle-aged Dutch listeners eager to wallow in Wally nostalgia for the pop music of their early adulthood, as this music hasn't aged well. Three reasonable Mellotron tracks for those prepared to put in the time tracking a copy down online (it's out there, folks). 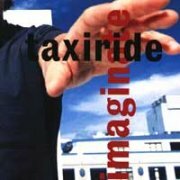 Forming in Melbourne in 1996, Taxiride seem to be a slightly loose conglomeration of musicians, based around Tims Wild and Watson. 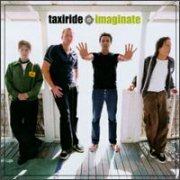 Their debut, '99's Imaginate, is an album of breezy, summery pop which will probably either delight or infuriate you, or possibly both at different times. There's no denying they're very good at it, although I find it begins to pall as the album progresses; maybe there's only so much summery pop I can take at one hit. The vocal harmonies are absolutely sublime, by the way, reminding me (bizarrely) of Houston's Galactic Cowboys in places, although I suspect it's down to hearing the same bands rather than any direct influence. It's difficult to pick out highlights (again...), although the first few tracks appeal more to me than the later ones, for the reason stated above. Can You Feel's lyrics give the album its strange title, and the sitars in Get Set and Rocketship are a nice touch, although I keep finding myself wishing for something a little more melancholic, which isn't to say they don't have their more 'down' moments, notably Let Me Die Young. The ubiquitous Jon Brion guests on 'additional keyboards and Chamberlain [sic]', with producer Jack Joseph Puig adding Chamby strings to Nothing In This World, although I would probably have missed them had they not been credited. This leads to the usual problem of 'so what's Chamby and what isn't?' that I've run into so many times before, although the strings on Let Me Die Young are specifically credited, and there's very obvious real strings on Counting Down The Days. Little of their use is that heavy, with a brief burst of flutes on Everywhere You Go, and mild string use elsewhere, so this doesn't exactly get that coveted 'Chamberl(a)in Album of the Year' award, I'm afraid. Allan Taylor (UK) see: Samples etc. James Wesley "Chip Taylor" Voight is best known for writing Angel Of The Morning and (improbably) Wild Thing, lesser-known facts about his life including his being Angelina Jolie's uncle. He released a run of country album in the '70s, before leaving the industry to become a professional gambler; I mean, how country is that? 1974's Some of Us is a slushy, ballad-heavy effort, only slightly leavened by the upbeat Funny Songs, while the closing title track is particularly bad; another piece of slush, overlaid with some old-timer giving someone the benefit of his accumulated wisdom. Bleurgh. Keys man Joe Renda allegedly plays Mellotron, but what I took to be a couple of flute notes turned out to be Wurlitzer, while the real strings splattered across the record obscure any possible Mellotronic ones. 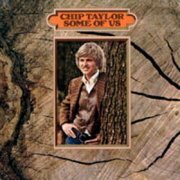 In his fifth release, 1975's This Side of the Big River, Taylor made a proper, 'trad' country album, complete with songs about being white and American (opener Same Ol' Story), God (May God Be With Me) and down-home country life and all-Americanism (closer You're Alright, Charlie). Big River's not too bad, in an upbeat country kind of way, but John Tucker's On The Wagon Again seems to be saying that the subject's new-found temperance is a bad thing. Alcoholism, right on! Ken Garreison plays Chamberlin on Getting Older, Lookin' Back, although not so's you'd notice, with what sounds like a chordal solo female voice part, doubtless saving on backing singers. 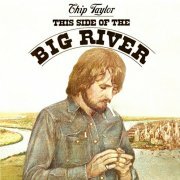 While Some of Us is merely deadly dull, This Side of the Big River really is a rather obnoxious album, to be honest, from the cover painting of Taylor sparking up a gasper through the hidebound lyrical subject matter to the schmaltzy, sickly-sweet pedal steel-led trad country stylings used throughout. This, folks, is why alt.country happened; this kind of ultra-conservative country is, tragically, still popular amongst hicks of all ages, which doesn't make it acceptable. Avoid. Ending on an upbeat note, Taylor's recent work is vastly better, shucking off the 'trad' feel for dark Americana.